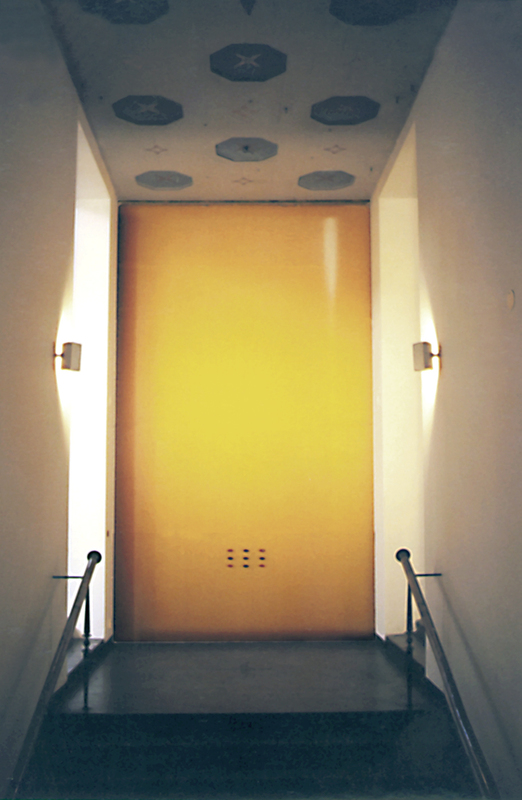 A photo of the back of a yellow telephone was digitally modified until the subject filled the space of the photograph. It was then reshaped to fit a wall or other area in the exhibition space. This was the first work I made with photographic prints fitted to walls. It is a direct continuation of my wall and canvas paintings. 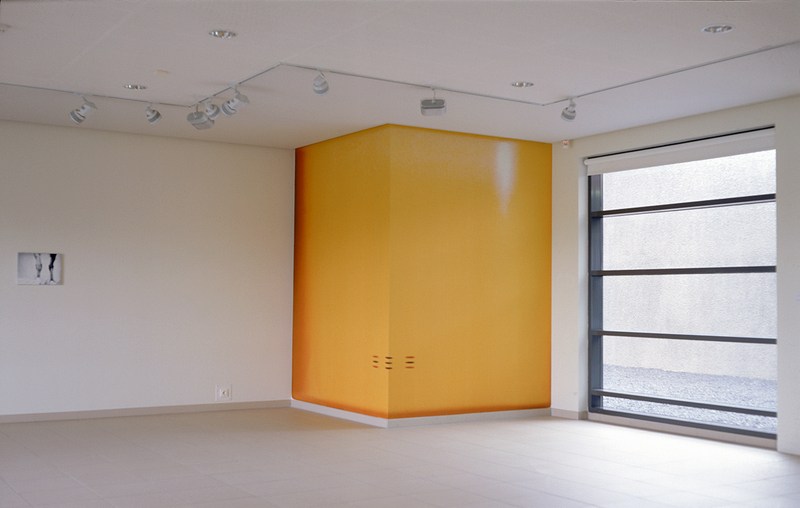 Instead of painting on a canvas or a wall, an object is, by way of photography, made to cover the area in question. It involves the merging of object and space. 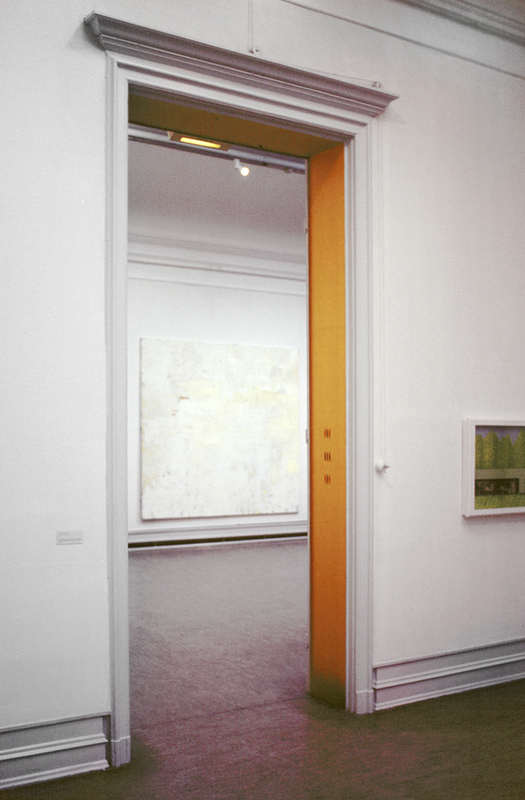 The object takes on some of the qualities of the room, and the room appears to change in shape and proportions to varying degrees, depending on the nature of the object. 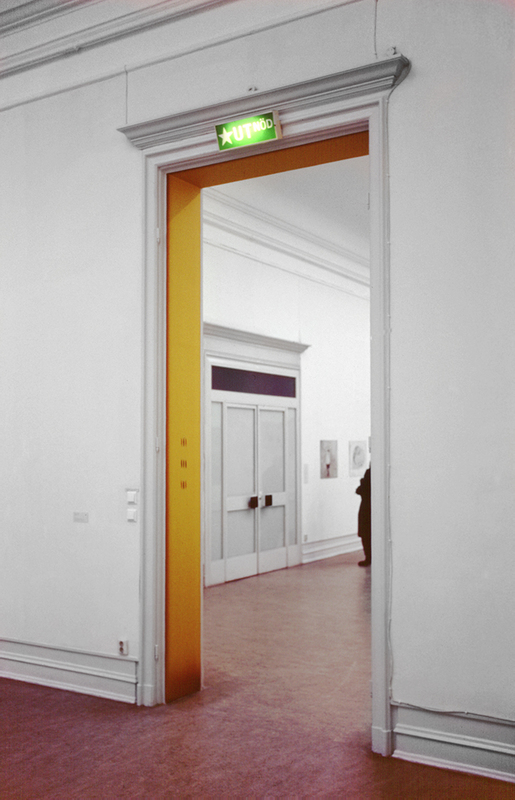 It was first installed in the group exhibition “Redshift” for its opening in The Reykjavik Art Museum in January 2000.